Hotel Calissano’s 90 rooms and 3 suites are appointed with every comfort to cater for all your needs and ensure you have a pleasant stay. 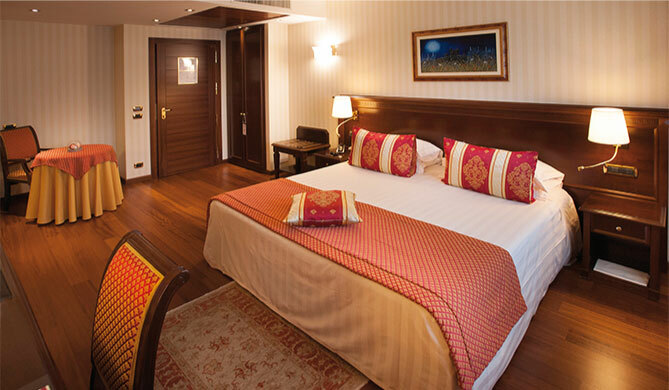 It features a fitness centre and elegant rooms with an LCD TV and free Wi-Fi. All decorated with refined wood floors, rooms at Hotel Calissano are soundproofed and come with antique furniture, rugs and a private marble bathroom. The hotel’s restaurant is open for breakfast and dinner and serves Piedmont specialities and Italian favourites. Meals can be served outdoors during summer. 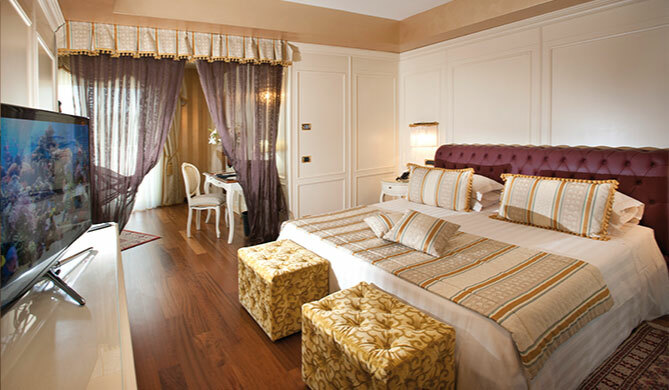 Located in an area famous for truffles and wines, Calissano Hotel is 800 metres from the city’s cathedral. The A33 motorway is a 5-minute drive away. We offer free parking in Alba’s centre, a 10-minute walk from Alba Station. The Hotel Calissano is the ideal place to stay for business or tourism in the heart of our hills. 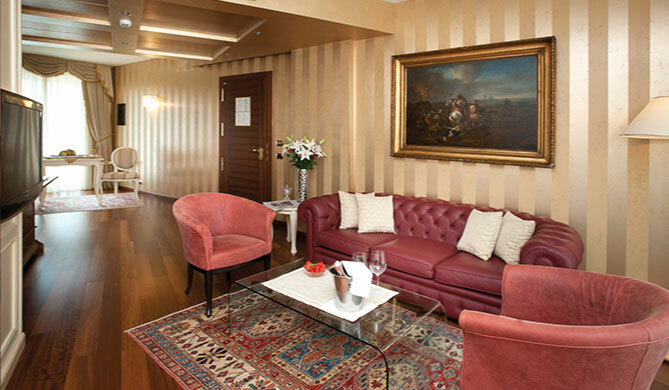 It will be a pleasure to welcome you to our suites: comfortable, stylish settings for enjoying a special stay. You will have the opportunity to choose an exclusive, finely-furnished suite where attention is given to the smallest details. All sound-proofed, with parquet flooring, period furniture and elegant carpets, our suites feature a large bedroom, en-suite marble bathroom and private sitting-room appointed with every comfort. Perfect for a refreshing break dedicated to your wellbeing. Our suites offer a stylish, refined ambiance for enjoying a delightful stay in complete relaxation.